The MultiHopper is a comfortable, contemporary wheelchair with a modern curved aluminium frame. 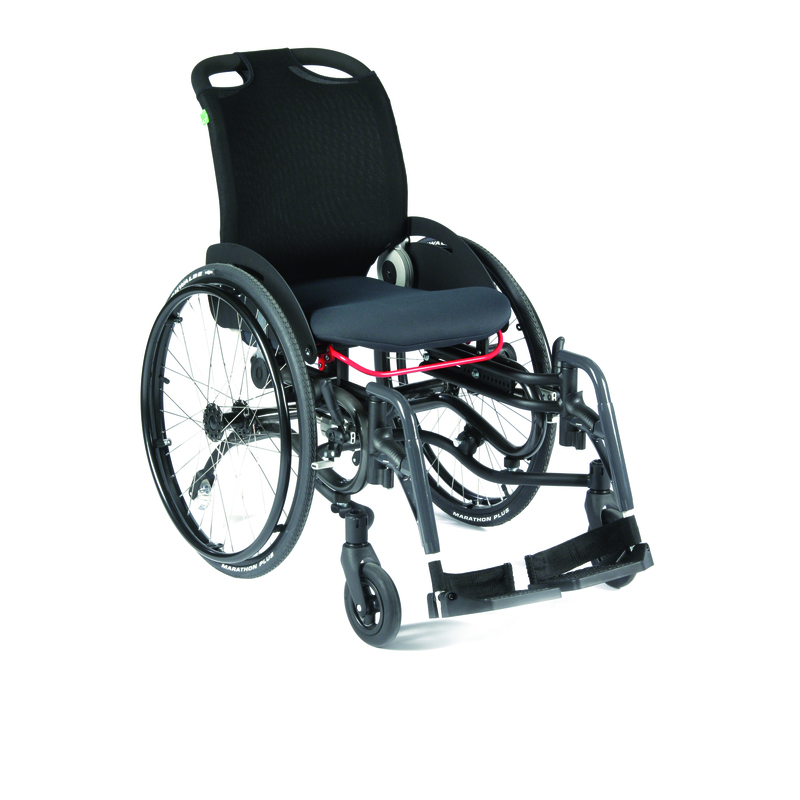 This organically shaped wheelchair offers the independent user who lives intensively many adjustment options, resulting in high sitting comfort and excellent ride characteristics. This wheelchair offers a surprisingly light ride. The sitting comfort of the MultiHopper is increased by the ergonomic RCA-Seat-System. The MultiHopper is suitable for people with high levels of pain who still wish to lead as active a life as possible. The MultiHopper wheelchair is intended for all disabled people who want to lead as active a life as possible. The MultiHopper stimulates an optimal sitting posture for wheelchair users with a neurological illness, any type of paralysis, age-related mobility restrictions, increased pain level, damage to joints and limbs or amputations.